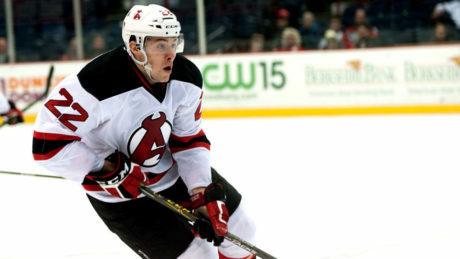 Add Ryan Kujawinski and Nick Lappin to the Devils’ injury list. 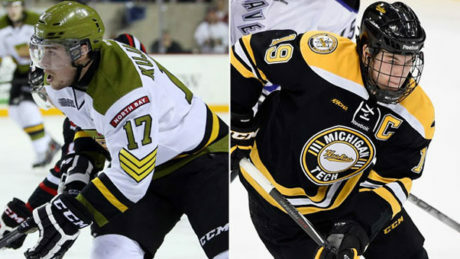 The careers of Ryan Kujawinski and Ben Thomson crossed paths many times, but they were never together until a reunion in Albany this season. 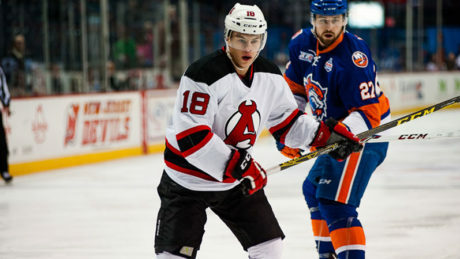 The Devils’ first-year players have made a major impact on the team’s success so far. 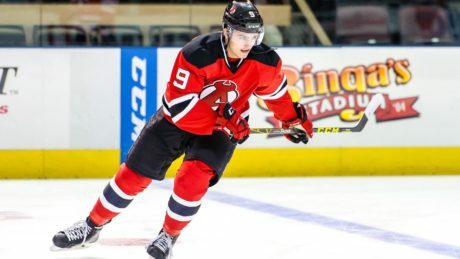 The Devils, who have been battling injuries much of the year, are beginning to reach full health, as evidenced by 24 of the 26 players on the roster participating fully in Tuesday’s practice. 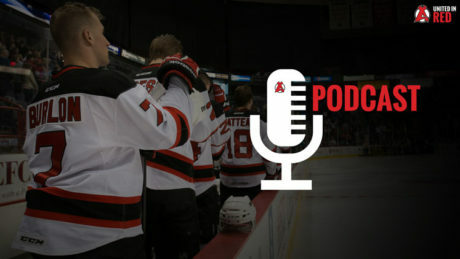 As they have done for most the first 10 games of the regular season, the Albany Devils relied on their power-play unit to lead them to victory. 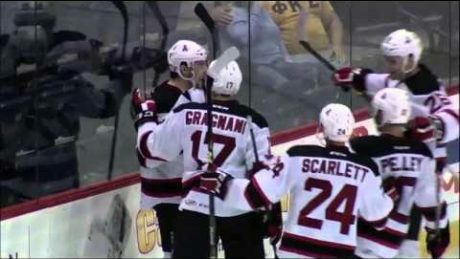 The team scored twice on the man advantage en route to a 4-3 win against the Syracuse Crunch Friday at War Memorial Arena. 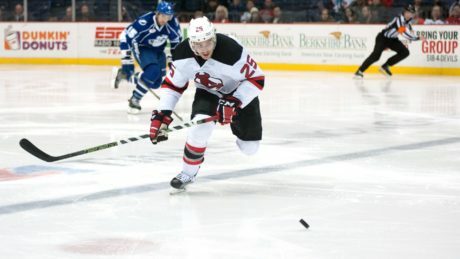 Ryan Kujawinksi netted his first career goal, scoring against the Comets last Saturday. 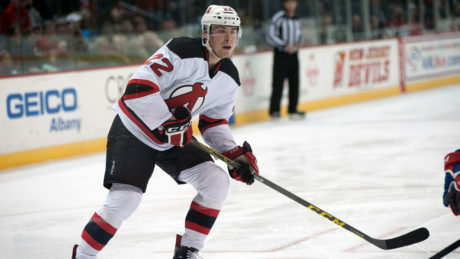 The NJ Devils have signed two prospects, forwards Ryan Kujawinski and Blake Pietila, to entry-level contracts.